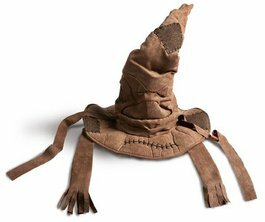 In this lesson, students will create a Raspberry Pi powered Harry Potter style sorting hat. Students will also learn how to connect a physical button to the Pibrella and program it to control the sorting hat. Note: Although I have written this as a lesson, it would probably work better as a project for a small group / after-school club. 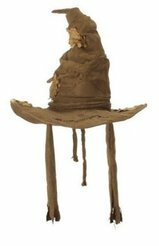 Official sorting hat endorsed by Warner Brothers. 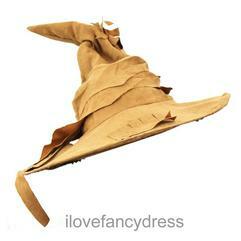 Replica wizards/witches hat from ilovefancydress.com. 1. First, students will need to connect their push button / switch to their Raspberry Pi. 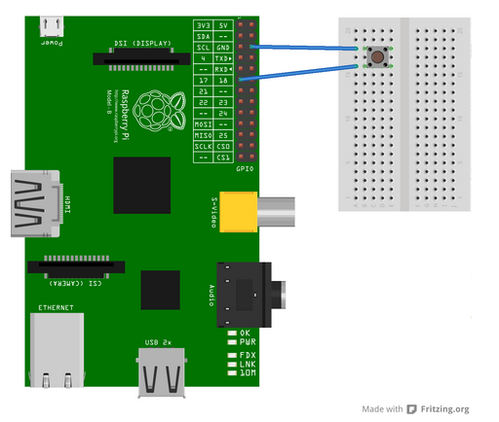 Connect the Raspberry Pi to the push button / switch as shown in the diagram below. Next, install the GPIO library package (This will allow you to communicate with the GPIO pins on the Raspberry Pi). Note: In order for the sorting hat script to work, students must launch idle3 as Super User (sudo) - without this, the students will not be able to communicate with the GPIO header. Make sure that the audio files are in the same folder as the python script. If you use a HDMI lead to connect to your monitor, the Raspberry Pi will automatically output the sound via the HDMI and NOT the headphone jack. To find out how to change the audio output settings, click here. 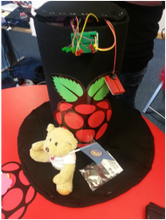 Raspberry Pi "Sorting Hat" lesson is licenced under a Creative Commons Attribution 4.0 International License.